Who says you have to wear white? 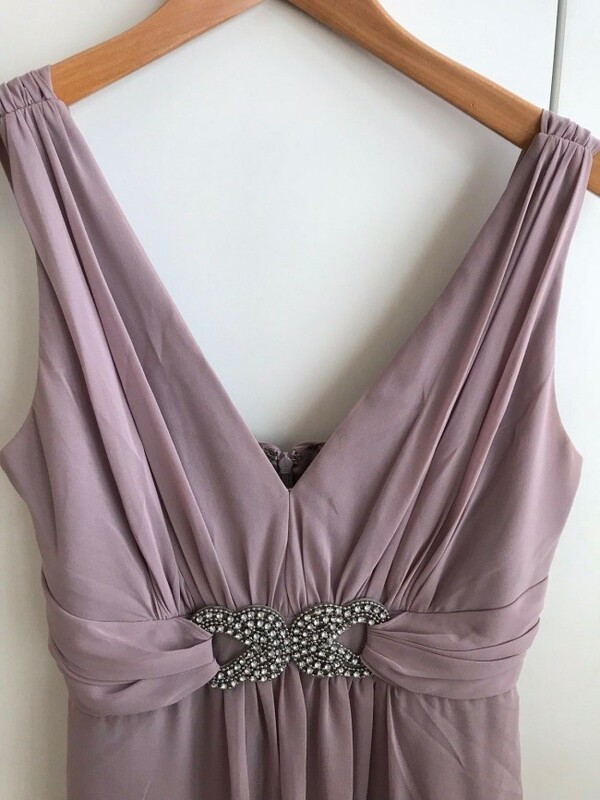 This statement Jenny Packham dress is perfect for adding a touch of class to your special day in a beautiful lilac hue. It features a pleated high waistline to flatter the feminine silhouette and just enough bling for you to sparkle. Pure class. Size 10 but generous, more like a 10-12. Worn once. Perfect condition, no marks, blemishes, snags or tears. Priced to sell.